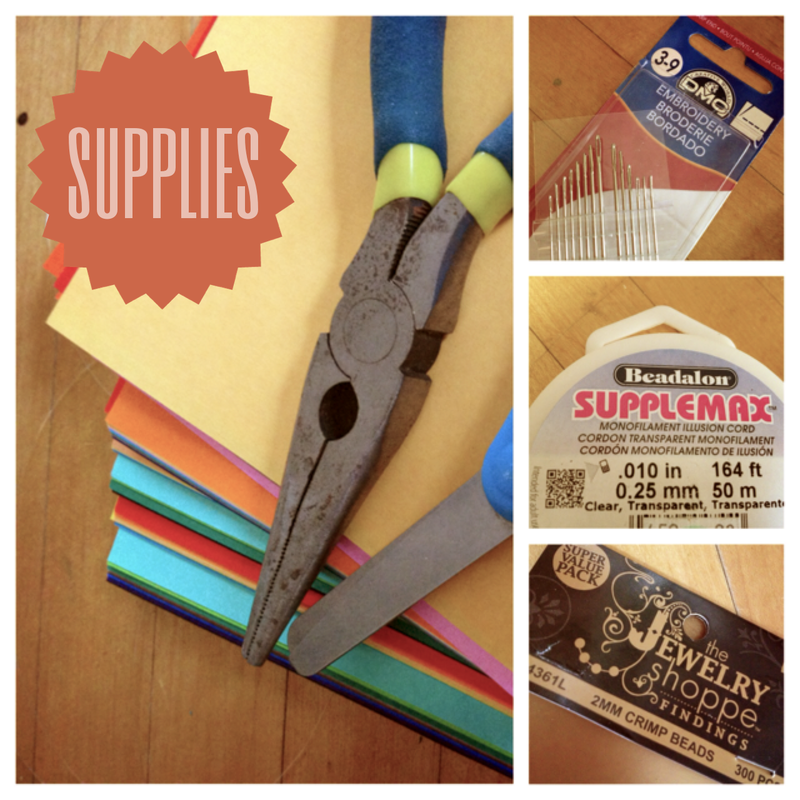 Please note: This article contains affiliate links for some supplies to make the mobile. If you can’t buy local, please consider purchasing through my affiliate link. 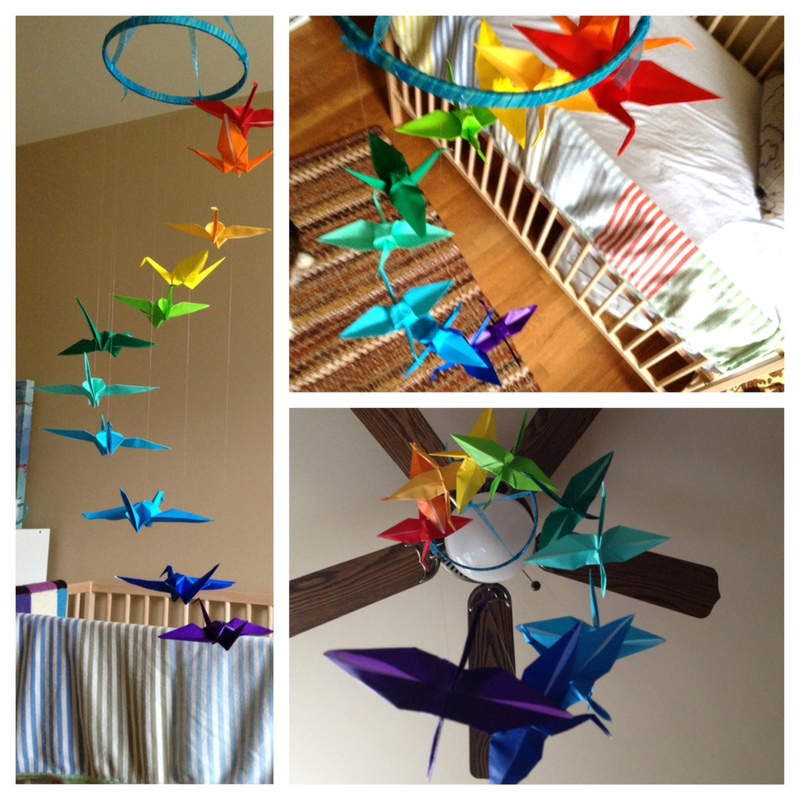 I’m working in a world theme into the nursery, and after realizing that I was lacking an Eastern influence I thought a paper crane mobile might be a cute and inexpensive addition. 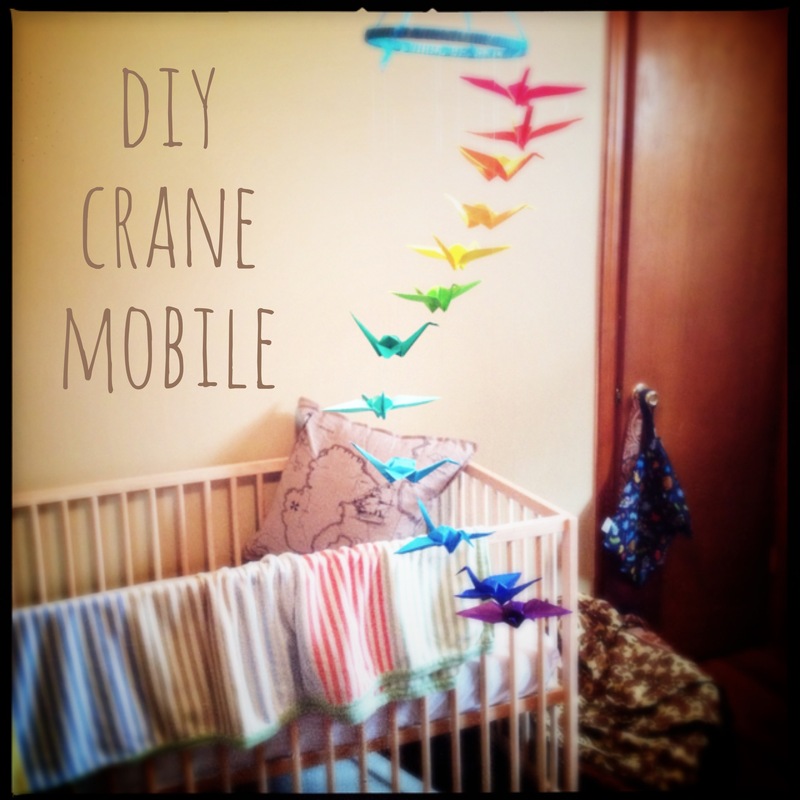 I’ve never done any origami before this mobile which is a testament to how easy it is. Step 1. 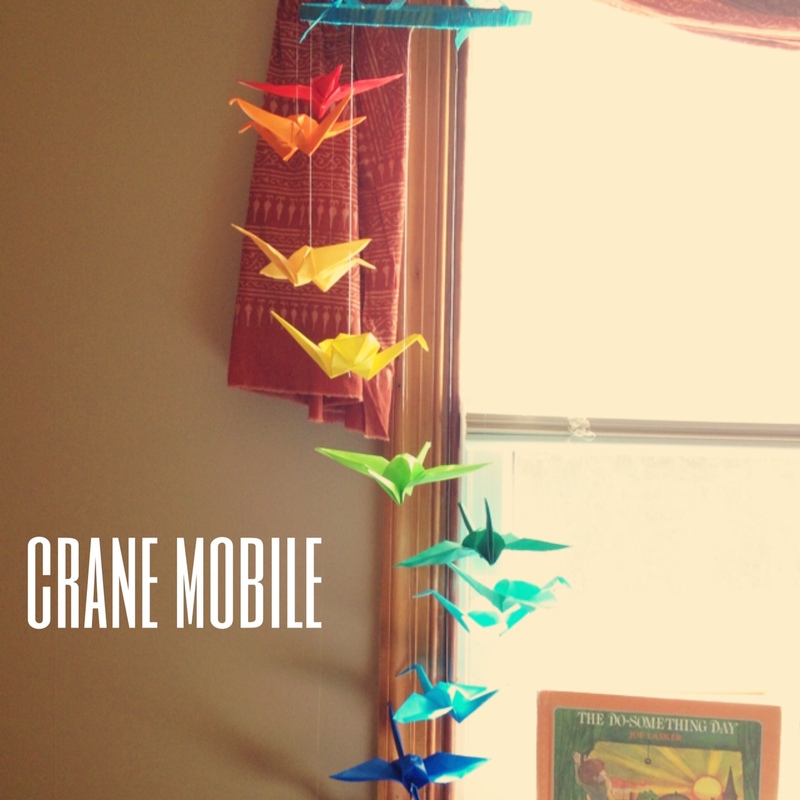 Make your cranes. If you haven’t done one before, I learned from this website. Step 2. Decorate your hoop. I decided to use ribbon to cover the embroidery hoop, but you can paint it or leave it simple wood. I used hot glue on the hoop and simply wrapped my ribbon around. To make it easy to hang, I just used two longer pieces of ribbon which I knotted at either end and then created a knot loop at the top. Step 3. Use a crimp bead to clamp the end of your fishing wire/clear cord. String the end of your cord into the bead and clamp shut with the pliers. You can knot it, but this is a lot quicker and easier. Next, string the end of the fishing wire with the needle through the bottom of the crane and out through the center of his back (longer needles make this easier). TIP: leave extra cord than you think you’ll need… about an inch. This gives you wiggle room for being able to adjust the height when you tie them on. Step 4. Just knot the crane on at your desired length (I had mine getting gradually longer but you can do it in any order). Do that for all your cranes and you’re done!! I’ll hang it above the changing table I think. I kinda want to make more of these now… and since this baby seems to be taking his sweet time, looks like I’ll have plenty of downtime before his arrival. Tags: DIY, Mobile. Bookmark the permalink. It’s beautiful. A wonderful addition to any room. I love it. what is the diameter of the embroidery hoop?